(Food Dive) – Developing new types of durum wheat makes a lot of sense because of its nutritional significance and more consumer interest in functional foods. A recent Kerry whitepaper found 65% of consumers are looking for functional benefits from their food and drink, so enriched breads, pastas and other wheat-based products could become popular. The market for these kinds of ingredient innovations is expanding as well. According to Zion Market Research, the global functional ingredients market was worth $64.9 million in 2018 and was projected to reach nearly $100 million by 2025, for a compound annual growth rate of 6.74%. Regular durum wheat is a relatively small part of total global production, and it has a higher level of protein and gluten than other types of wheat. It is also the hardest of all wheat types and is typically used for pasta products, according to the Wheat Foods Council. 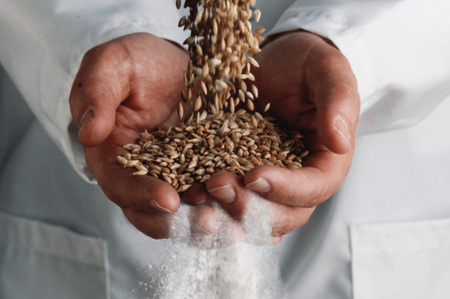 Consumers seek out products containing whole grains because of their health halo, along with the interesting textures and flavors they provide. According to a 2016 survey, 27% of people said they eat more whole grains now than they did in the previous six months, which bodes well for durum wheat producers and makers of products using it. Some people are trying to avoid gluten because of celiac disease or sensitivity. However, Dutch researchers have been experimenting with using gene editing to remove toxic antigens in gluten, a development that could allow those with celiac to safely eat regular wheat products without the common symptoms of bloating, diarrhea and constipation. A combination of these innovations could help reverse the drop in pasta consumption reported in some countries, such as Italy. According to Bakery and Snacks, Mintel reported the CAGR for pasta had dropped 2% in that country from 2011 to 2015, with 23% of consumers trying to reduce pasta in their diets because of health reasons. Changing that attitude could bolster business for Barilla, Dakota Growers, Romero, Pasta Foods and other large users of durum wheat — especially if they start using the new purple variety and clearly advertise on product packaging its functional benefits to prospective customers.